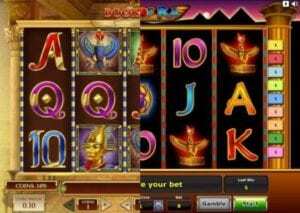 Book of Ra and Book of Dead, which one is the best online slot ? 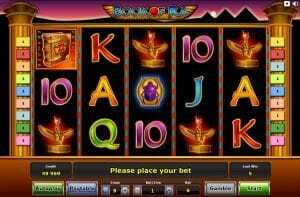 Book of Ra™ is undoubtedly one of the most successful slot machines of all time, especially in Austria and Germany. This Ancient Egyptian themed slot by Novomatic is very popular amongst gamblers, both online and in land-based casinos. 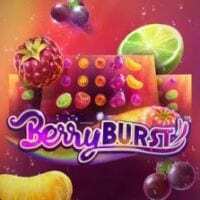 Founded in 1980, the Australian firm is a full-service provider in all segments of the gambling industry, exporting its wide range of high tech gaming products which include cabinets, games, gaming platforms and many more to 75 countries worldwide, making it one of the industry leaders. Adapted from land-based to online play by Green tube, two editions of Book of Ra™ have been launched by the renowned slot provider to this day, alongside a variety of online video slot games inspired by it. 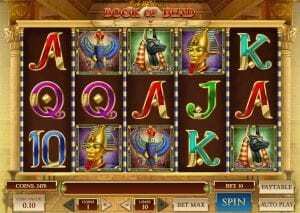 This slot transports players back in time, putting them in the shoes of an archaeologist exploring the ancient tombs in the Pyramids of Egypt. This game was an immediate hit with gamblers all around the world, for both the online and the land-based version provide an incredible gaming experience, filled with intricate symbols representing Egyptian artefacts. Book of Ra™ and Book of Dead™ may have similar themes, however they both differ in many ways. 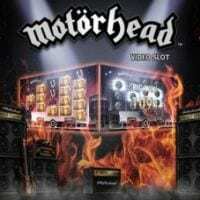 Novomatic has released three versions of this slot so far and various games inspired by its universe. Book of Ra™ was launched in 2005, soon to be followed by Book of Ra Deluxe™ and Book of Ra 6™. Book of Dead™ on the other hand was launched in 2016. 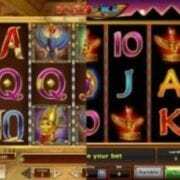 Book of Dead™ is a 5-reel video slot with 10 pay lines, the coin size ranging between 0.01 and 2. Regarding Book of Ra™, it also sports 5 reels, however the classic version has 9 bet lines and a coin range of 0.02 – 5. Both are multi-payline slot, meaning that it is up to the player to decide which bet lines to activate, for they are not fixed. The two slot machines are full of beautifully designed symbols, some of them triggering interesting special features! One of the icons found in Book of Dead™ depicts a mysterious golden book with a beetle engraved into its cover. It may act as a Wild, acting as a substitute for practically any symbol, but also as a Scatter symbol if one is to land 3 or more of them on an active bet line. In this case, the gambler will receive 10 Free Spins. Before the start of the latter, a symbol will be chosen at random to act as a special expanding scatter symbol during the entire round. As regards Special Features, Book of Ra™ also has quite a few of them in store. Just like in Book of Dead™, landing 3 or more golden book scatter symbols will grant players 10 Free Spins. An expanding symbol will also be chosen at random amongst the symbols found in this online slot game. When it features in a Winning combination, it will expand to cover the whole reel. Look out for extra bonus scatter symbols during the Free Spins, for just like in Book of Dead™, landing another set of 3 or more of the golden book symbols will re-trigger 10 Free Spins. Players may also try their luck at yet another exciting Special Feature found in Book of Ra™: The Gamble Feature. By clicking the “Gamble” button following your win, you will be offered a chance to take part in a mini-game, during which a red and a black card will be presented to you. If you draw the right card, you will see the sum of your win double! These two slot machines may resemble one another, yet they each have their own sense of uniqueness. What struck us the most with both these video slot games is their alluring RTP of 96%, as well as their array of thrilling special features. The expanding scatter symbol found in both these games, alongside the fun Gamble feature in Book of Ra™ may result in huge wins! Both Play’n Go and Novomatic have payed attention to every single detail, and their hard work is bearing fruit. They are both incredibly popular, and it’s easy to understand why players just keep coming back to them. The sophisticated symbols and stunning backdrops found in Book of Ra™ and Book of Dead™ paired with their enchanting soundtracks offer a highly entertaining gaming experience which is perfectly suited for both novice and experienced players. Delve into Ancient Pharaonic Egypt with these two incredibly exciting high volatility slots, each of which may offer players a chance of making a mega win of up to 5,000 coins!